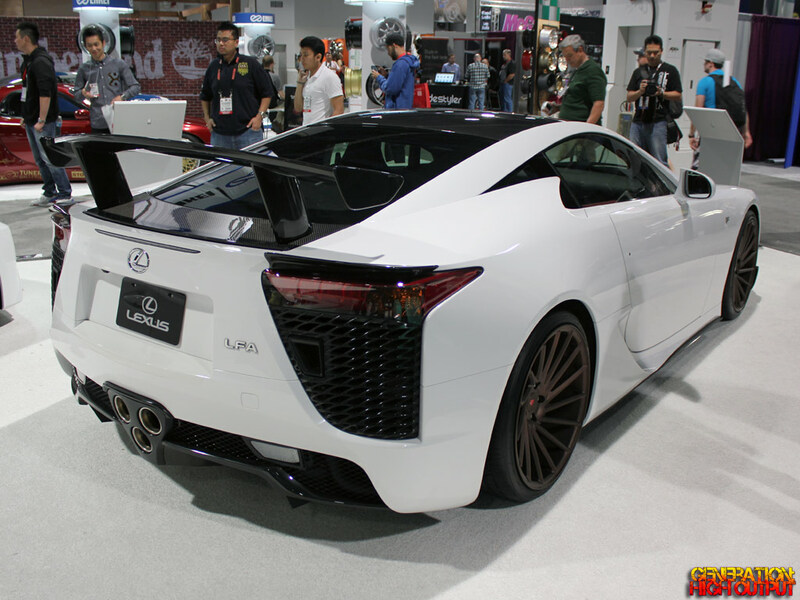 In a previous article, I talked about many of the superlatives that encompass the Lexus LF-A. From its mid-mounted V10 engine to its eye-popping price tag, the first supercar from Lexus is one that only 500 people can own. The regular LF-A supercar starts at $375,000 while the Nurburgring edition is $465,000 – a staggering $90k increase! As cool as this car looks, I don’t know that the extra carbon fiber bits and driving privileges are worth the premium price to me – but maybe some potential buyers wouldn’t bat an eye over the extra ninety grand. Flogging this car around one of the world’s most notoriously difficult racetracks has got to be a supremely fun experience – if you can afford it. While I am a fan of the LF-A, I’ll take the base model and save my money for something else. 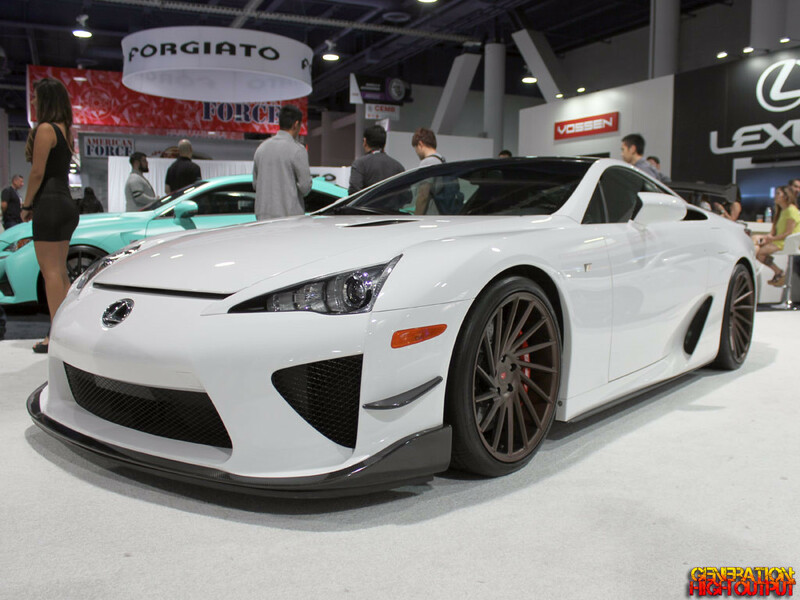 This entry was posted in SEMA and tagged exotic car, Lexus, SEMA 2014, supercar by Trevor Freeman. Bookmark the permalink.